One thing is for certain, them Swedes sure love them some mixed martial arts. According to the UFC, the organization’s debut in Sweden sold out just three hours after tickets went on sale to the general public on Friday. The card marks the fastest-selling European event in UFC history. Ericsson Globe Arena in Stockholm hosts the festivities. FUEL TV will air the main card live in North America at 3PM ET/12PM PT. 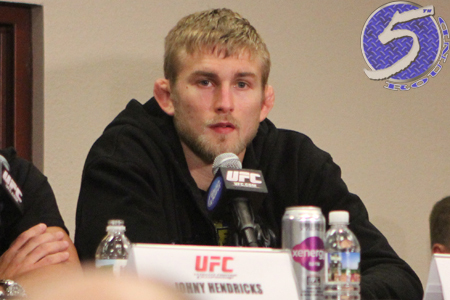 A light heavyweight shootout between Sweden’s own Alexander Gustafsson (Pictured) and Antonio Rogerio Nogueira headlines the show.